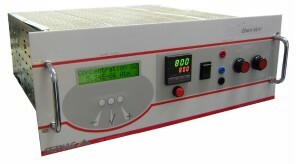 The GEN’AIR allows the generation and measurement of several different oxygen atmospheres. Its technology is based on the principle of zirconia ionic conduction. The pump which raises or decreases the oxygen concentration in the gas that passes inside its zirconia tube. It requires only a low gas flow: between 1 and 12l/h. It can be used on mixtures such as inert gas/oxygen or buffered mixtures/oxygen as CO/CO2/O2 or H2/H2O/O2. The gauge which measures the partial pressure generated by the pump. Thanks to the MicroPoas1, its response time is very fast and it gives extremely accurate measurements. 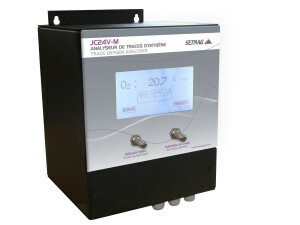 JC15V, JC24V, and JC48V trace oxygen analysers are designed and manufactured by SETNAG to meet the requirements of industrial gas production and heat treatment industries. They include the unique technology MicroPoas®, Zr sensor with a built-in metallic reference. For controlled atmosphere, SETNAG analysers allow accurate continuous measurement of Trace of O2 suited to a large field of industrial and laboratory applications. 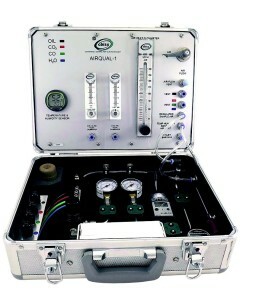 The Gen’air, oxygen pump gauge provides both generation and analysis of atmosphere at controlled oxygen rates.